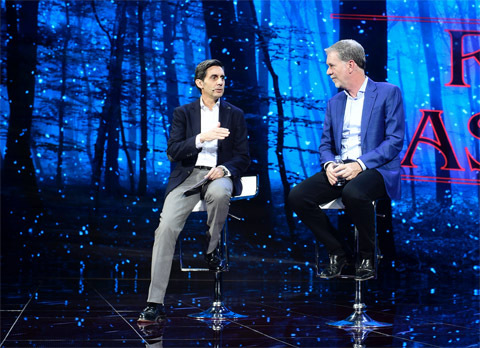 Over a third of new Movistar+ subscribers have signed up for a package that includes access to Netflix since Telefónica included the subscription video-on-demand leader in its TV offering on December 11. According to the Spanish telco, 35% of Movistar customers with access to packages that enable them to view Netflix have taken up this offer. Telefónica said that the integration of Netflix in the Movistar+ interface had brought a new experience to its users, enabling them to access the platform via different sections of the UI as well as via its search engine. Existing Netflix subscribers can migrate their account to one of the access methods offered by Telefónica’s Movistar Fusión packages while maintaining their Netflix profiles. The telco said that two thirds of customers that had taken up a Movistar Fusión package with Netflix had opted for the Total or Total Plus offerings. “These numbers demonstrate that the partnership between Movistar and Netflix has been a success. Customers are attracted by an option that allows them to enjoy the two leading platforms in the creation of original and exclusive content, which makes this combination an unbeatable proposition for lovers of drama,” said María Jesús Almazor, CEO of Telefónica España. Telefónica has been offering direct access to Netflix in HD and UHD quality and single-provider billing via three packages – Total Plus, Total and Selection. While current Movistar+ customers have been eligible for three months’ free access, new customers that take the Fusión Total Plus X2 package have been able to get football, sports, series, films and Netflix, for an introductory price of €85 per-month for the first three months.